Huda Beauty Emerald Obsessions and Link Up | Is This Mutton? 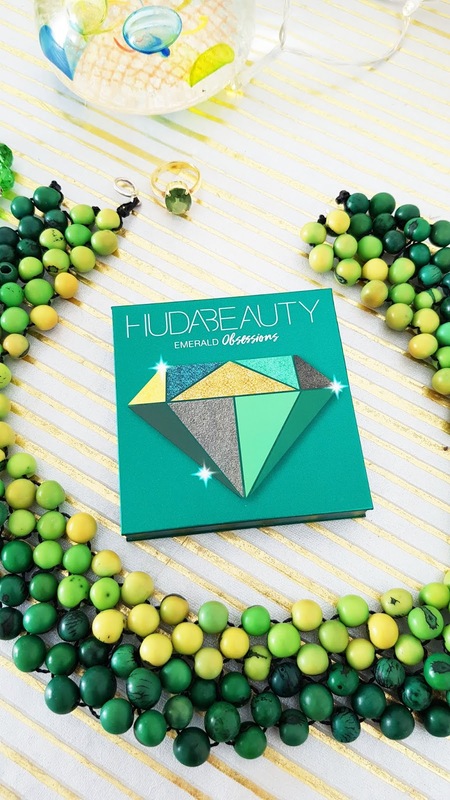 Very excited ladies to share this gorgeous palette of green, gold and bronze eyeshadows from trendy brand Huda Beauty. I've often felt there's a gap in the market for green eyeshdow palettes. Those trays of neutral (and red!) shades are 10 a penny. 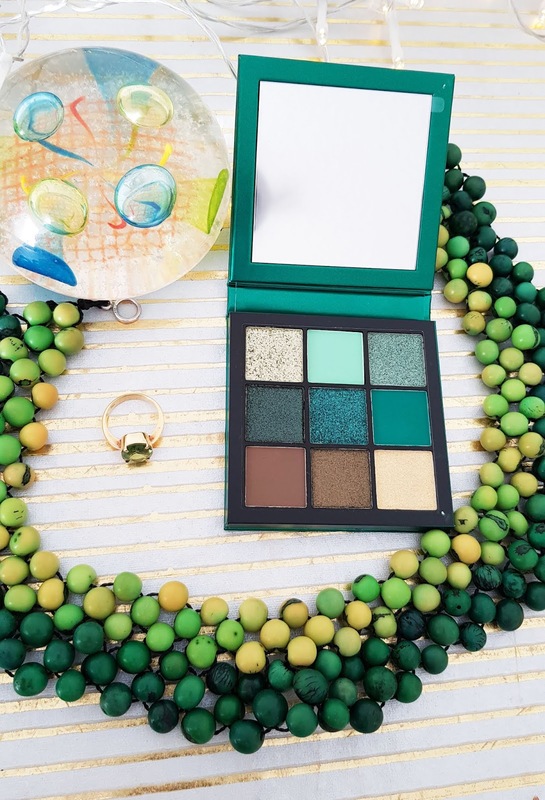 But it's not often that those of us who adore green get our hands on some shimmery and matte emerald shades. First, a bit about Huda Beauty. 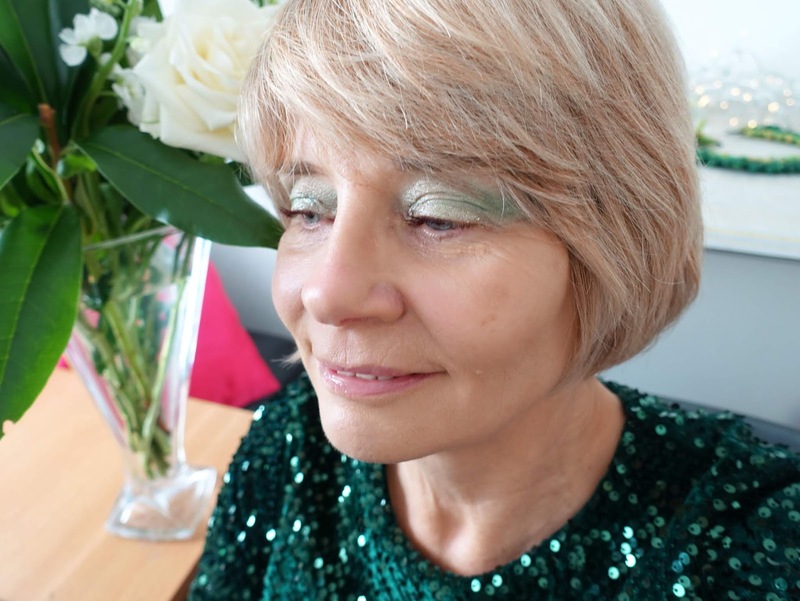 It's a brand very popular with the younger Instagrammers, but as with all make-up brands, there's no reason why we older ladies shouldn't enjoy it too. 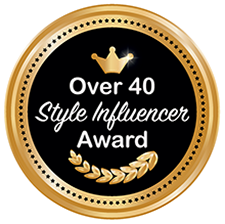 The brand was created by Huda Kattan, an American makeup artist, beauty blogger, and entrepreneur. The website is quite interesting because it covers beauty from a generic viewpoint and features news and articles about other brands and products. The Emerald Obsessions palette (£25) is one of a series of Obsessions. You can also get Sapphire / Gemstone / Coral / Mauve / Ruby / Warm Brown / Amethyst / Topaz variants. I know you always like to see what the colours look like in real life, on a wrinkled old blogger. I used the sparkliest green, the one in the top left corner, and I don't care if "older women shouldn't wear sparkly eyeshadow." I love it! I applied a matte emerald shade along the lid line and blended, adding the gold shadow just under the brow. The colours are very highly pigmented and the sparkle shades very sparkly. It created an iridescent look like a mermaid. I kept the colours down elsewhere: no lipstick, just my Jouer Conditioning Lip Treatment, and no blusher. 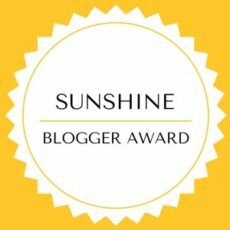 You can buy Huda Beauty from their website and from Cult Beauty, Selfridges Feel Unique and Harrods. 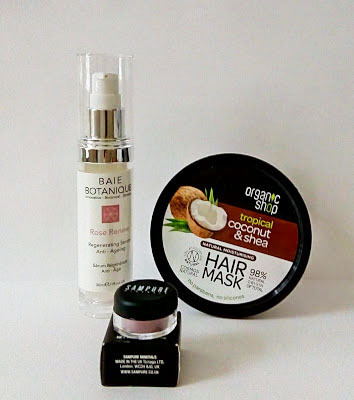 Last week's most popular post was by Sandy from Petite Panache who featured the Baie Botanique Rose Renew Regenerating Serum Anti-Ageing, formulated to aid in cell renewal and regeneration. We could all do with some of that! I think a little bit of sparkle (or gloss) is good because it brightens and lifts the face! Funnily enough I've just bought a metallic green/gold eyeshadow! That is a gorgeous pallet. I have seen a few mentions of the brand. Intriguing. Such gorgeous shades! I always stick to browns, I never experiment - old habits die hard!